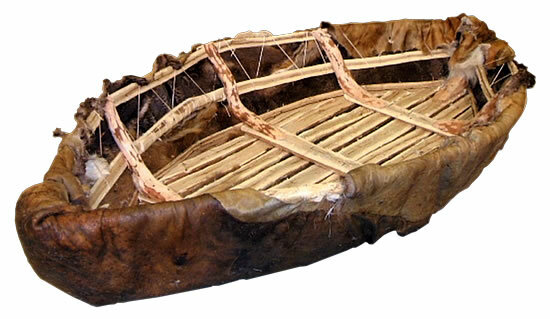 Skin boat made of split cottonwood and willow, and covered with one bear skin and two caribou skins, sewn together with a waterproof stitch. The oar is made from a moose shoulder blade. Paul John said: "They built them only to use when returning home. They went up to the mountains in spring without boats, but their plan was to come back down after the ice broke up. While they were up there hunting, they tried to catch enough caribou or bears to make a boat with their skins." 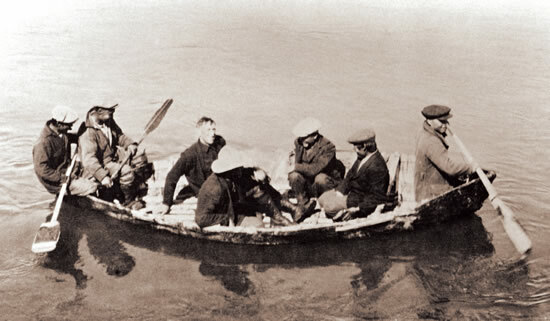 Men traveling by skin boat. Wassilie Evan said: "If they caught just one large animal, they put it in the boat and brought it, or they hung it to dry, making it lighter. They would also put their dogs in or take them on foot following the river." Large background photo The upper Kwethluk River in falltime, 2007. 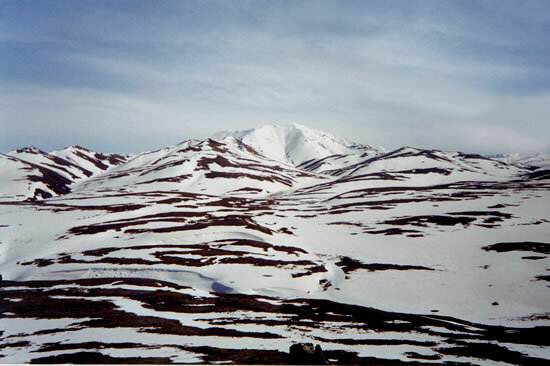 Snow in the mountains near the headwaters of the Kwethluk River, April 1993. 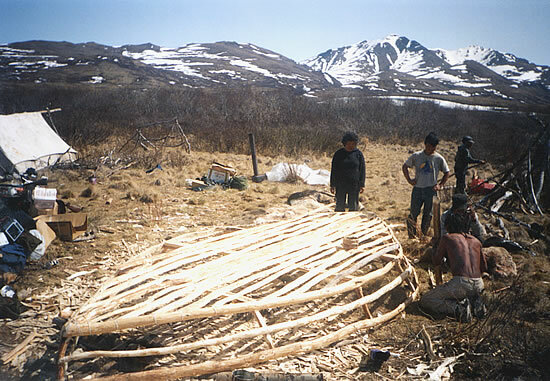 Kwethluk elders watch Joe Spein put the last floor board on a large boat frame, 1989.